Ken Lee is an experienced finance professional who has spent the last 17 years helping companies create value through prudent financial management. He also has deep knowledge on the investor-side as it relates to infrastructure-based businesses. helped manage the corporate development groups at Exodus Communications and Cable and Wireless America (CWA). In addition, he played a key role in managing the company’s acquisitions and strategic partnerships, which included the transformation of Exodus and CWA into hosting businesses which became the foundation for Savvis (later sold to Century Link for $2.5 Billion). Most recently, Ken has been working closely with various private equity firms as they consider investment opportunities in the infrastructure space. Along with financial due diligences and strategic counsel, his expertise has also been tapped to help private equity-backed companies create detailed budgets, operating plans, performance analytics, and reporting packages for managing their businesses and communicating effectively with their various stake holders. 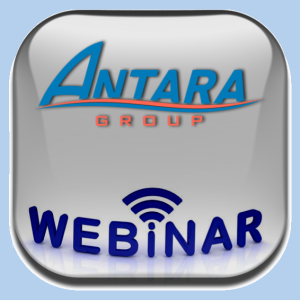 At The ANTARA Group, Ken will play a vital role in the ANTARA Due Diligence Now (DDN) and ANTARA Ready CxO practices. Ken holds an Master of International Affairs, with a concentration in International Finance, from Columbia University’s School of International and Public Affairs, and a BA in Economics from the University of California, Berkeley.